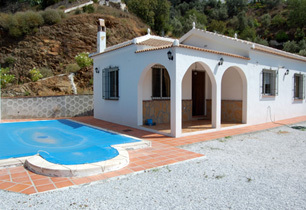 Competa Properties, your Axarquia Real Estate agent in Malaga, Spain. 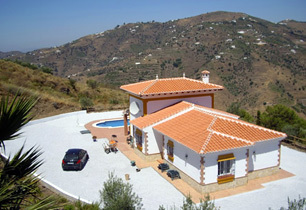 Country properties, villas, plots and townhouses and fincas in Cómpeta and in villages on the Costa del Sol. 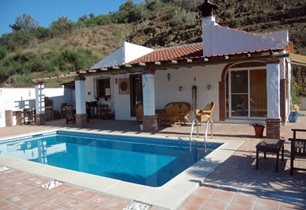 In our property search engine you will find country houses in Axarquia for sale and rent. Also, we offer you information about Axarquia´s villages. We here at Competa Properties would like to welcome you to our charming village. Our wish is that you enjoy your visit and look forward to coming back in the near future to a lovely new home in the sun. We have a wide range of properties available in the surrounding areas - charming traditional village houses, modern, easily maintained apartments, beautiful villas and old-world fincas and cortijos. We also have plots with fantastic views if your preference is have your home built to your specifications. We are an established professional agency with first hand knowledge of living and working in the area of Axarquia with renovated and new properties for sale and for rent. Our staff comprise a group of people British and Spanish who all contribute in their different ways to the success of our company and, most importantly, to the satisfaction of our numerous clients.